Homer Pearce received a BS degree in chemistry from Texas A&M University in 1974 and was awarded a PhD in organic chemistry from Harvard University in 1979, the year he joined Lilly Research Laboratories as a medicinal chemist. Pearce held several positions of increasing responsibility at Lilly, all of which were directed at the discovery and development of new drugs to treat cancer. He served as Vice President of Cancer Research and Clinical Investigation from 1994-2002 and became a Distinguished Research Fellow, Cancer Research in 2002. He retired from Lilly in 2006, and now serves in several board, consulting and advisory roles in the academic, government and biopharmaceutical communities. Pearce’s 27-year career at Lilly was devoted to cancer drug discovery and clinical development. His personal research interests included the use of natural products as models to identify new leads for cancer drug discovery and to probe mechanisms of drug resistance. During this period Lilly’s cancer drug discovery group introduced 25 investigational drugs into clinical trials and 3 new drugs were approved for the treatment of cancer by worldwide regulatory agencies including Gemzar® and ALIMTA®. 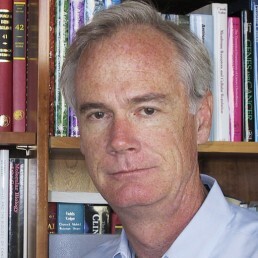 In 2001, Pearce was named a Distinguished Graduate of the College of Science, Texas A&M University. In 2006, he was named a Hero of Chemistry by the American Chemical Society.